Description FUEL EFFICIENT 34 MPG Hwy/27 MPG City! Azzurro (Blue) exterior and Black Interior interior, Sport trim. Premium Sound System, iPod/MP3 Input, Bluetooth, 6-SPEED AISIN AUTOMATIC TRANSMISSION, 1.4L 16-VALVE I4 MULTI-AIR ENGINE, Aluminum Wheels, CarAndDriver.com's review says "Cuteness runs deep in the 500. 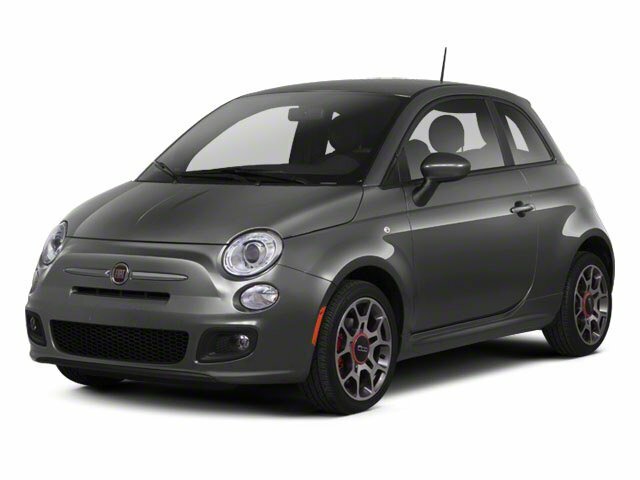 Interior and exterior styling are reminiscent of the original 500's, yet fully modern.". SEE MORE! Premium Sound System, iPod/MP3 Input, Bluetooth, Aluminum Wheels FIAT Sport with Azzurro (Blue) exterior and Black Interior interior features a 4 Cylinder Engine with 101 HP at 6500 RPM*. 6-SPEED AISIN AUTOMATIC TRANSMISSION, 1.4L 16-VALVE I4 MULTI-AIR ENGINE (STD). Rear Spoiler, MP3 Player, Keyless Entry, Steering Wheel Controls, Heated Mirrors. "Cuteness runs deep in the 500. Interior and exterior styling are reminiscent of the original 500's, yet fully modern." -CarAndDriver.com.